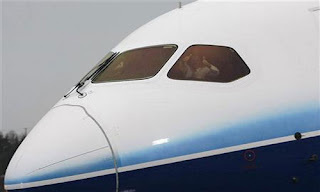 (Reuters) - Nearly three years after investigators first heard what they believed were yawns by the crew of a commuter plane that fell from a winter night's sky near Buffalo, the Obama administration is ready to issue a new regulation aimed at ensure more rest for airline pilots. The Federal Aviation Administration policy will be unveiled on Wednesday following extended delays and missed deadlines due to industry conflict over costs and scheduling. It will overhaul outdated requirements that critics say do not begin to address basic business demands of present-day flying and the physical toll of long days and hectic work schedules on pilots. The rule is expected to give pilots a break on scheduling to provide the best chance for uninterrupted rest, and allow the airlines flexibility to develop their own fatigue risk plans, with FAA approval. It's the beginning step," said Karen Eckert, whose sister, Beverly, was among the 45 passengers and four crew aboard the Colgan Air Bombardier DHC-8-400, working as Continental Connection Flight 3407, that crashed five miles from Buffalo airport on February 12, 2009. All were killed, as was one person on the ground. Fatigue is the first one and it's extremely important," she said of safety improvements family members have pushed on Washington - first Congress, which ordered changes, and now the FAA. Other changes being sought would improve pilot qualifications, training, and crew management. Make your travel more special with us!